"It's a "grande" experience at University of Rio Grande, located - of all places - about an hour from Columbus, Ohio. Rio, the least expensive private university in the Buckeye state, offers about 60 academic programs in all shapes and sizes: certificate, associate degrees, and bachelor's degrees. Also, the Rio Grande athletic department provides some of the finest indoor and outdoor athletic facilities in the American Mideast Conference." What is a typical University of Rio Grande student like? Describe the type of person that should attend University of Rio Grande. Most UTRGV students are hispanic and are living with their parents to decrease the amount of loans they need to take out. What are the top 3 reasons someone should attend University of Rio Grande? The top 3 reasons that someone should attend UTRGV: tuition is low, it's filled with rich hispanic culture, and there is a choice in attending Brownsville or Edingburg classes. What was a typical University of Rio Grande student like in high school? Describe the type of person that should attend University of Rio Grande. The type of person that should attend the University of Rio Grande would be someone who loves living in the country. Rio Grande is surrounded by a lot of farmland and a lot of very welcoming people! 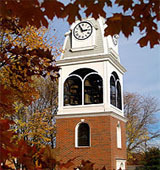 The University's contemporary 190 acre campus is located in Rio Grande, Ohio, nestled in the beautiful rolling hills of the Southeastern region of the state offering students the safety associated with a small town. The Rio Grande campus is an oasis of learning, innovation, and technology in the region. The institution's strengths lie in a faculty of teacher/scholars who are dedicated to both the academic and humanistic growth of every student; programs that are academically challenging and numerous opportunities for extracurricular involvement. Rio Grande's mission is to maintain rigorous standards in its undergraduate, graduate, and adult education programs; to engage students from a wide spectrum of abilities and backgrounds while consistently preparing students for the challenges of living a fulfilling life, reaching career goals, and being a responsible citizen in a culturally diverse, global community. What are the top 3 things that students do for fun at University of Rio Grande? Campus housing is available for undergraduates. Housing deposit : $200.00. Housing deposit due : Jul 15. Housing deposit is refundable in full if student does not enroll.. Freshman allowed to have car. No pets. 33% of freshman live on-campus. Total stated tuition is $20,510, in-state and on-campus, before financial aid. Learn more about financial aid at http://www.rio.edu/financial-aid/index.cfm. Estimate the net price for you at http://hope.rio.edu/netpricecalculator/npcalc.htm. University of Rio Grande participates in the NAIA Division II for college athletics. Want more info about University of Rio Grande? Get free advice from education experts and Noodle community members.